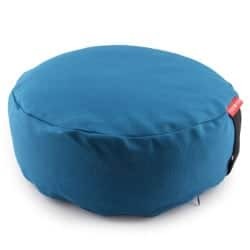 Home › MindZBlog › Peace Yoga Bolster Review: Is this Product Really Worth it? Peace Yoga Bolster Review: Is this Product Really Worth it? Before we get into the nitty gritty of this Peace yoga bolster review, you first need to learn a little bit about this type of product and what it does. What you need to know about yoga bolsters is the fact that they are one of the most amazing innovations when it comes to yoga gear and accessories. They are basically cushions especially made so that they help you either stretch better or achieve certain poses with a higher degree of comfort. Peace is an experience manufacturer and they might actually be responsible for making the best yoga bolster available on the market at the moment. However, it might be quite difficult to decide on what is the best product of this kind, because there are so many options out there, that things can often become complicated. His is why you will also learn what details to focus on when buying a new yoga bolster and what features should weigh more than others when making a purchasing decision. Yoga bolsters are not particularly new products. They have been around for quite some time and that is why the market had plenty of time to be flooded with different models, brands and with different types of bolsters. If you read a Hugger Mugger bolster review you will learn that the features that they value are different than those of another brand. So here is what you need to keep an eye out for. 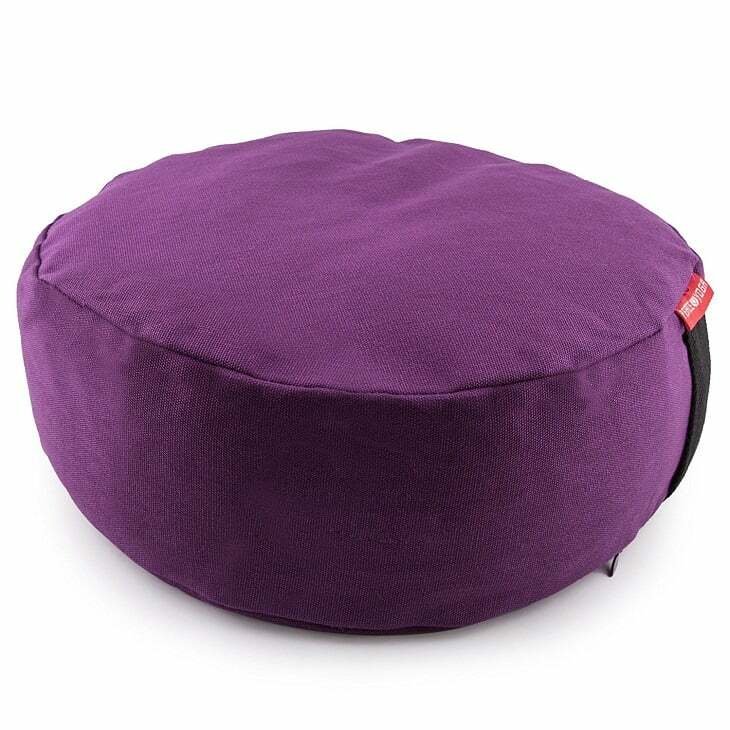 One of the first things that you need to take into account when buying a new yoga bolster is its weight. There is no secret that yoga bolsters are quite voluminous, but that does not also mean that they also need to be heavy and difficult to carry around. If you practice yoga at home then this should not be that big of a deal, but if you have to carry all of your gear to yoga class then you might not want to get a bolster that weighs as much as a punching bag. 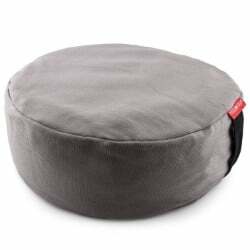 Speaking of the ease of transportation, one other thing that you should check when it comes to yoga bolsters is the fact that they have handles so that you can easily carry the cushion around. If the bolster is not easy to carry then it is certainly not worth the effort of looking into it any further. The last important thing that you might want to check when it comes to bolsters is the materials and fabrics they are made of. If you need a hypoallergenic product, make sure to pick one. However, more importantly, you should make sure that the cover is removable and easy to clean. Although this is not exactly a classic type of yoga bolster, a lot of people seem to prefer it to other available options. More than that, most peace yoga bolster reviews praise it for being such a high quality product. The product is especially popular because it is able to relieve any stress on joints. On top of that, it offers the necessary support to your spine and it makes it a lot easier when you change poses. The bolster has cotton cover which is not only removable but machine washable as well. The pillow’s middle part is made out of buckwheat hulls in order to provide the right balance between firmness and pliability. 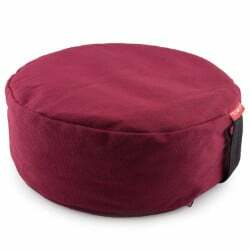 What I like about this product the most is the fact that it comes in a large variety of colors and designs so that you can match it to your other accessories and even with your yoga outfit. The best part about this yoga bolster is by far the core which is made out of buckwheat hulls. The fact that Peace has managed to attain the perfect balance between pliability and firmness. The fact that the cotton cover is removable and machine washable is yet another great advantage that this yoga bolster has. Additionally, the cushion offers the user the needed support not only for the spine but for joints as well. The only negative aspect of this product is the fact that it is not the classic type of bolster and some people might find it difficult to get used to it. It is neither circular nor rectangular and that might not be exactly what most yogis might need from a bolster. All in all, the Peace bolster is a great product that can be used both in yoga sessions and during meditation. I recommend it to anyone who needs a little extra relief for their joints. The post Peace Yoga Bolster Review: Is this Product Really Worth it? appeared first on MyFreeYoga.